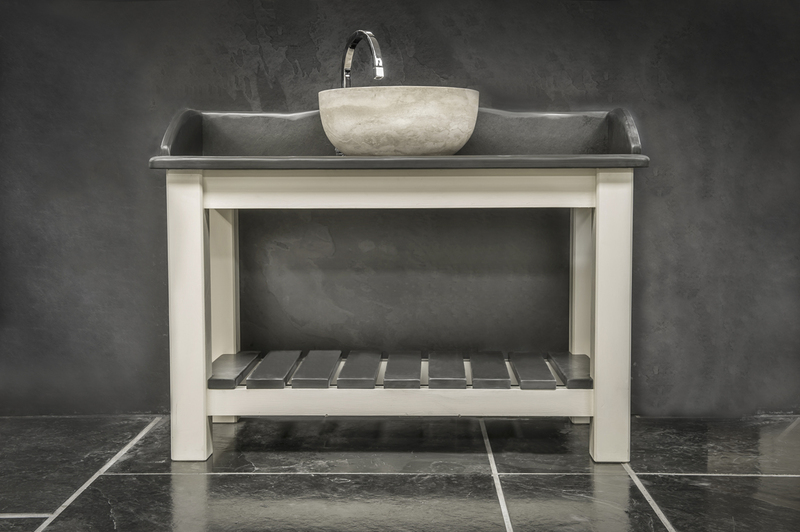 See our gallery of our bespoke and hand made slate sink drainers. 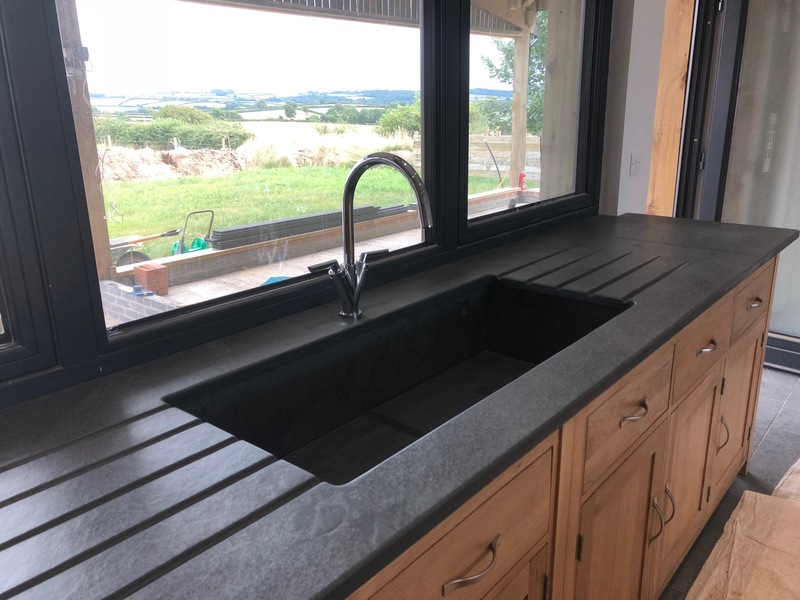 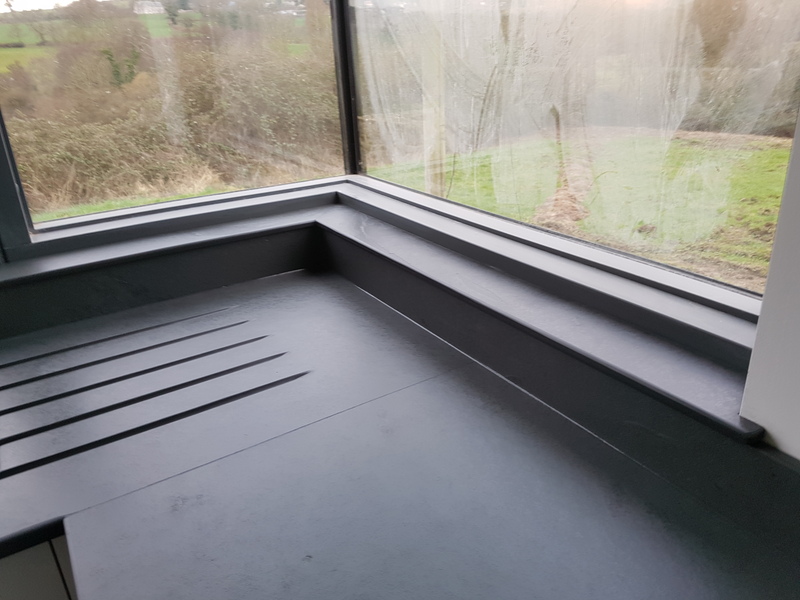 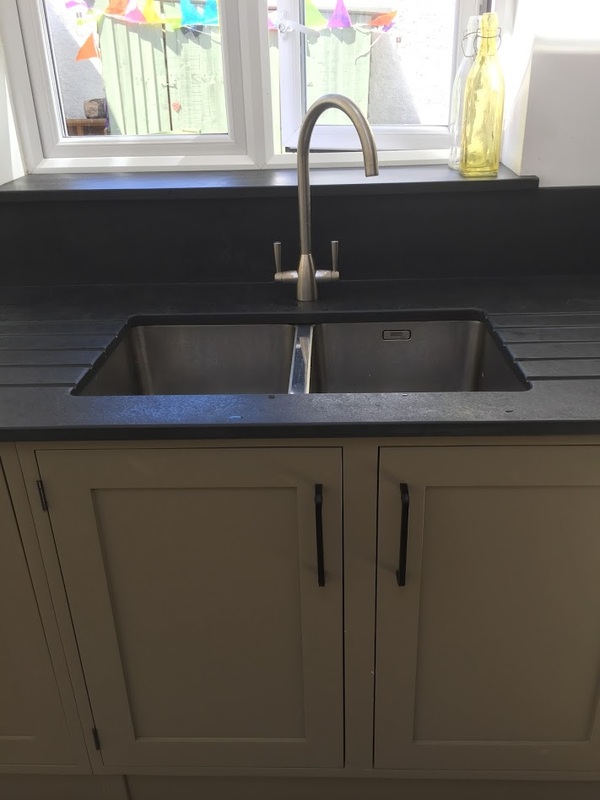 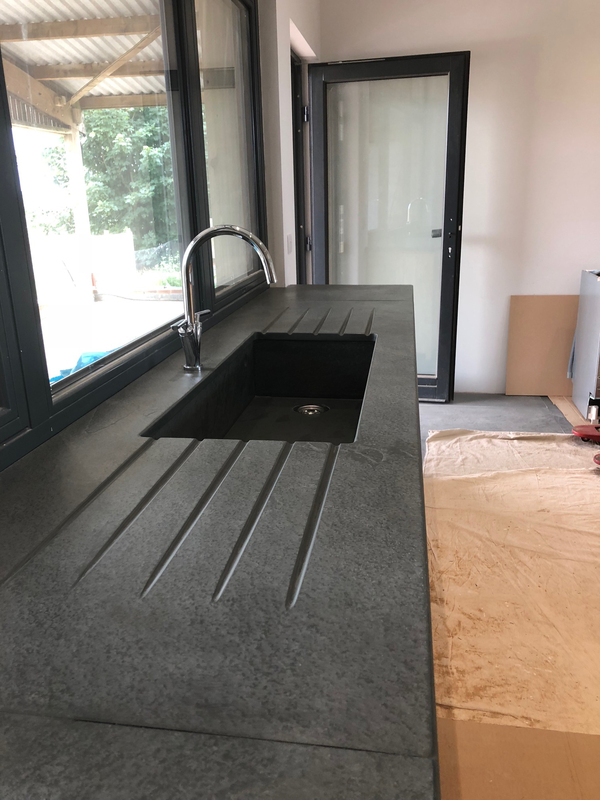 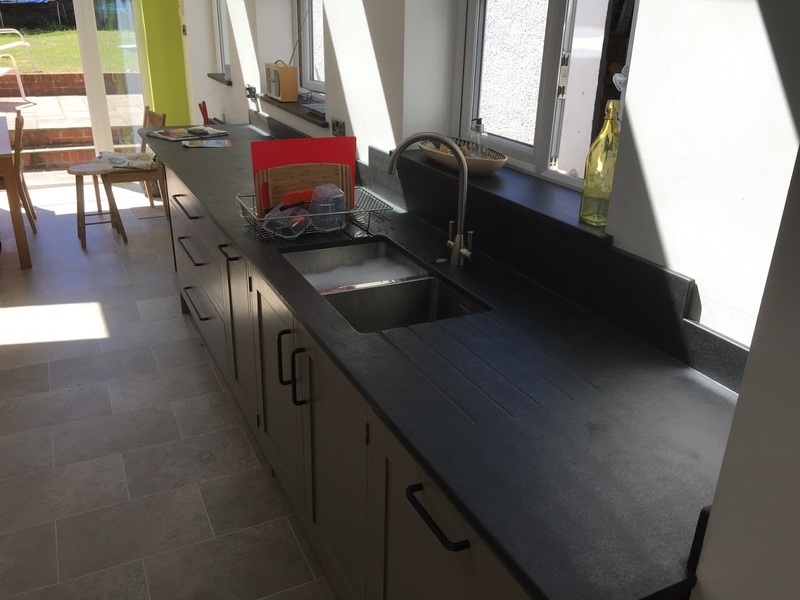 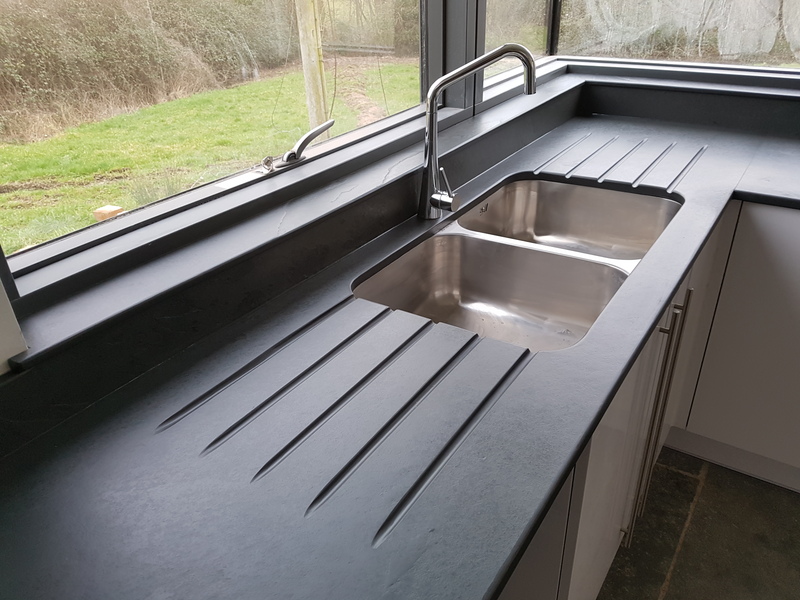 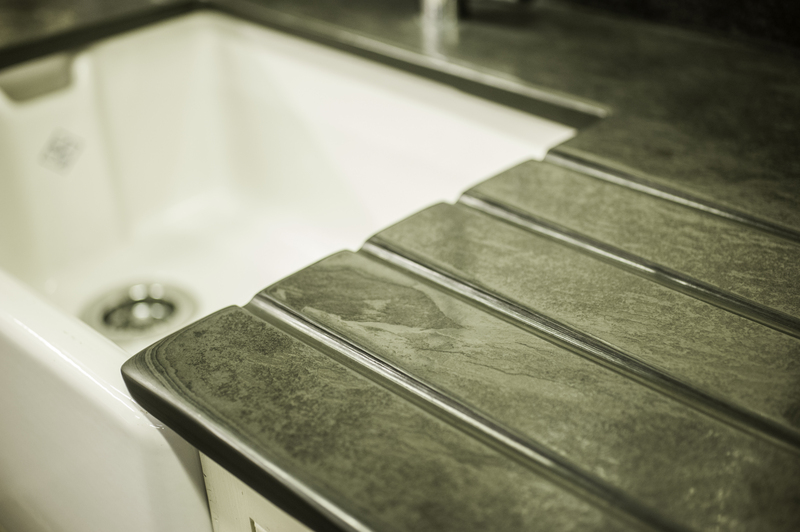 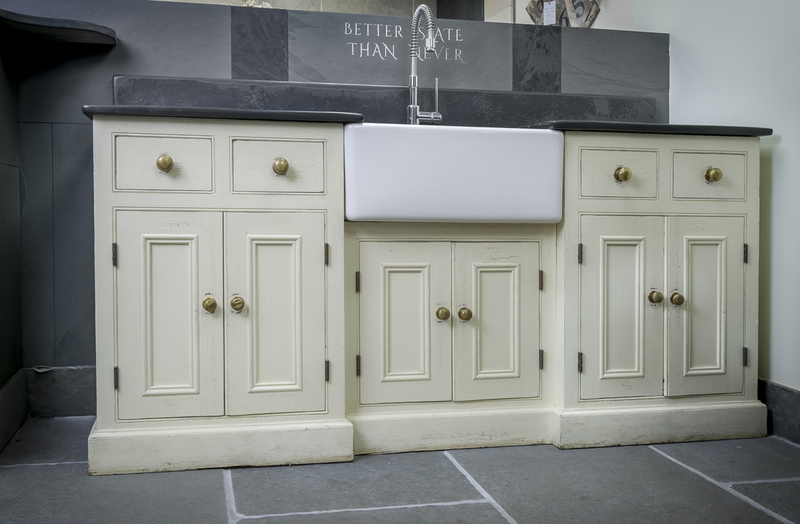 Our natural stone draining boards are all hand cut in the UK by our team in North Devon to create stunning sink surrounds and worktops that are custom made to your specifications at very competitive prices. 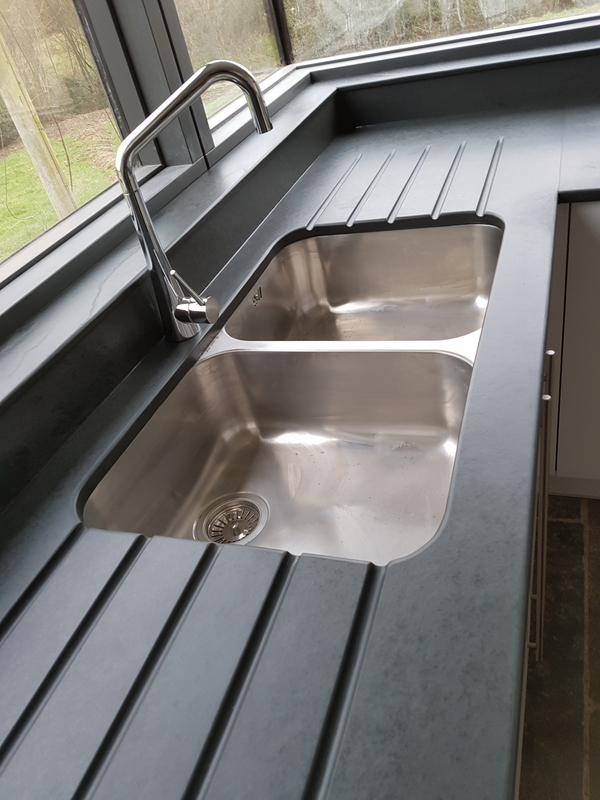 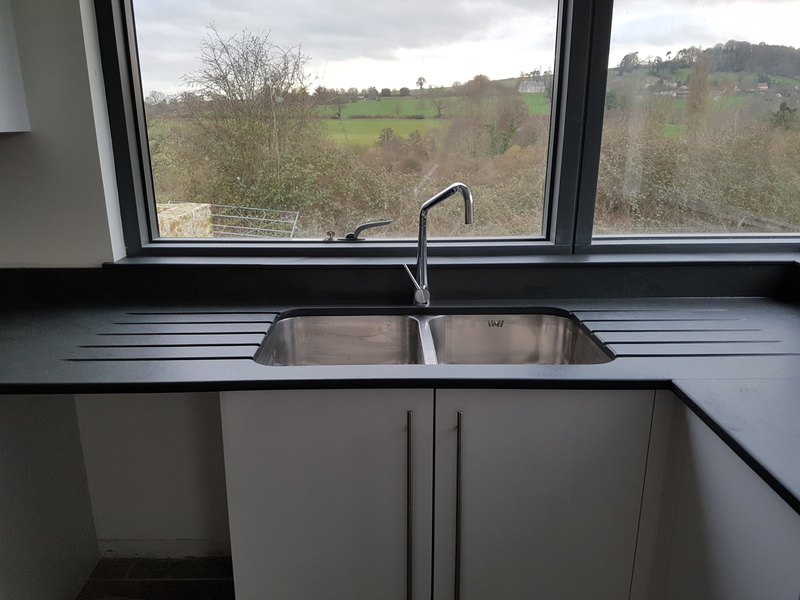 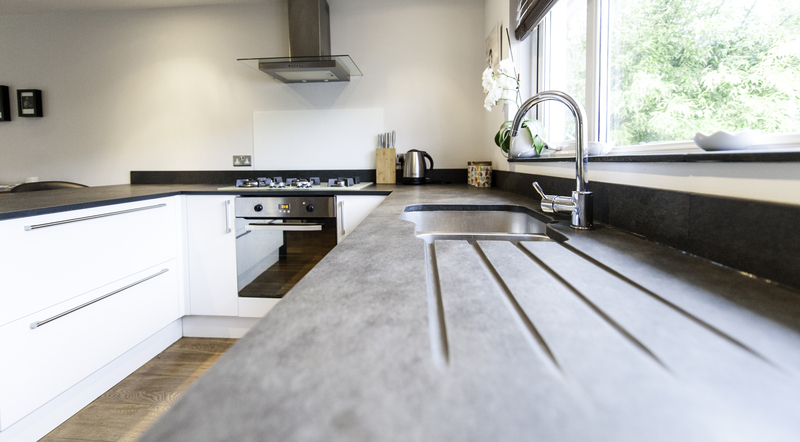 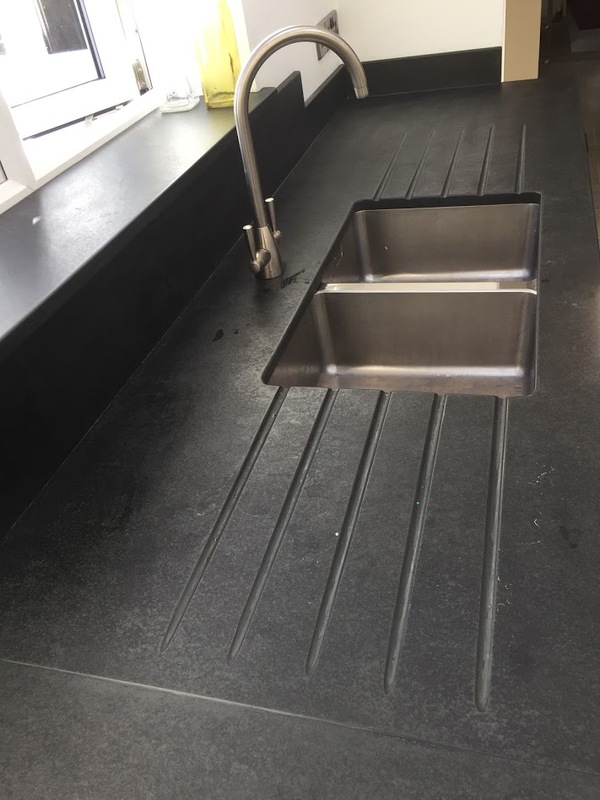 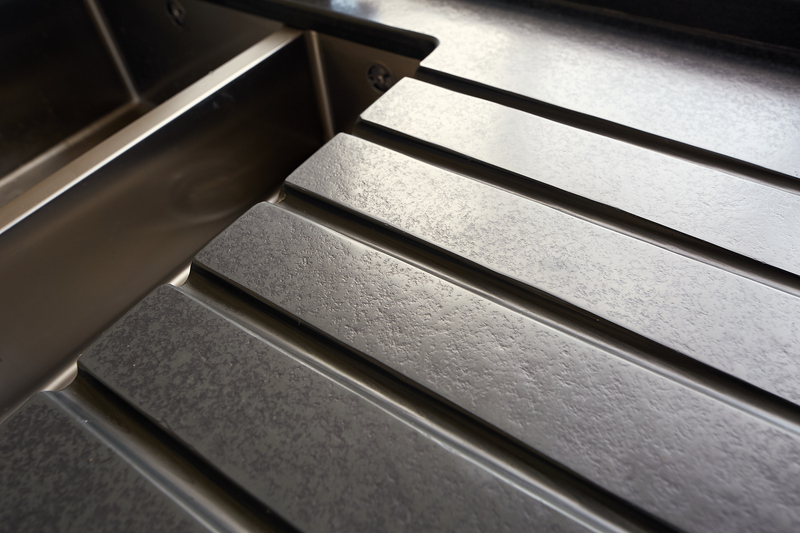 If you are looking for that wow factor for your kitchen, bathroom or any area in your house or business premises, our stunning sink worktops and drainers are a great way to add value and class to your property. 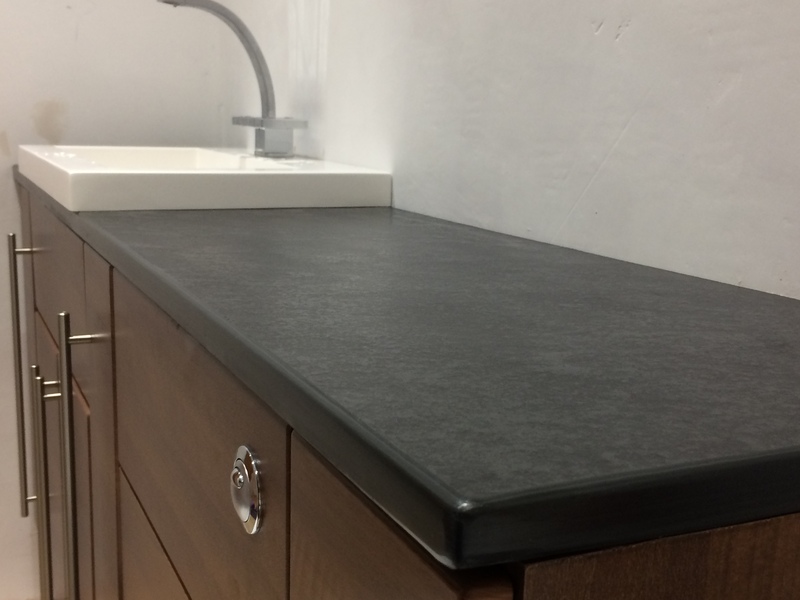 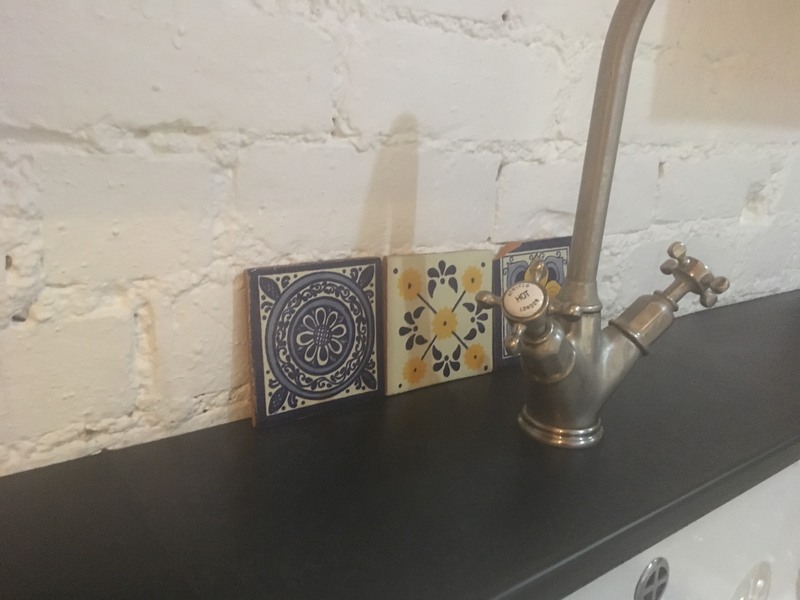 Even though these are all hand cut and finished, they are also competitively priced and Ardosia are more than happy to provide you with a quote for any style or design of sink work surface for any room that you are creating. 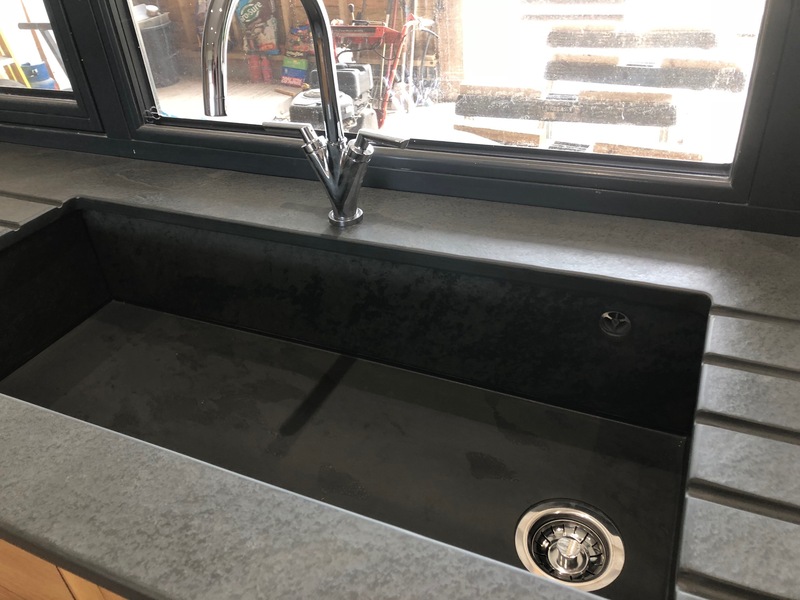 As all of the sink surrounds, work tops and draining boards are made to specific drawings and sizes, no two jobs are the same for our team at Ardosia. 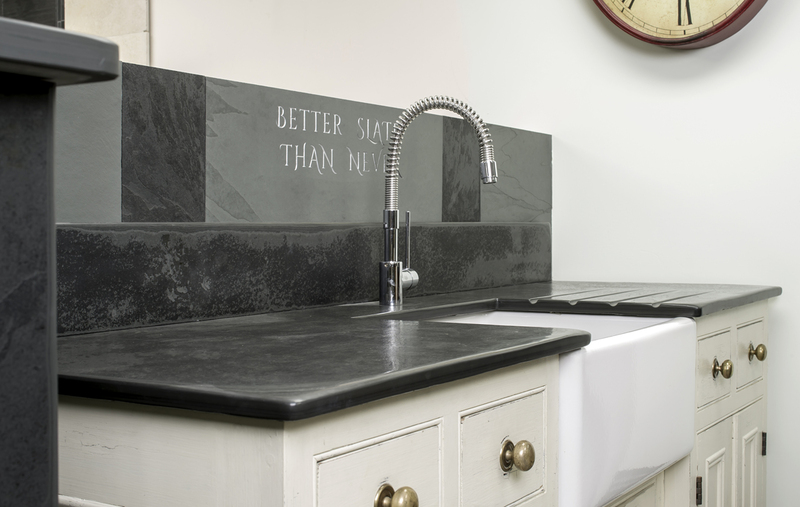 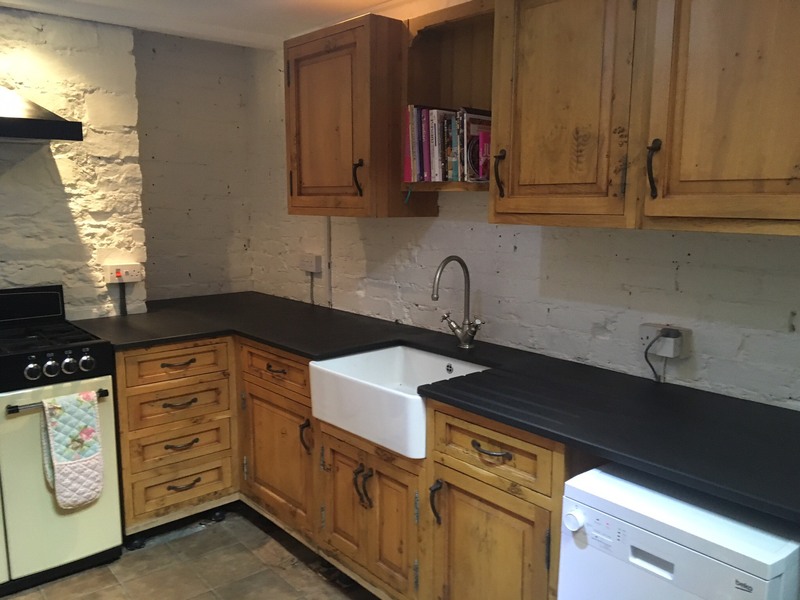 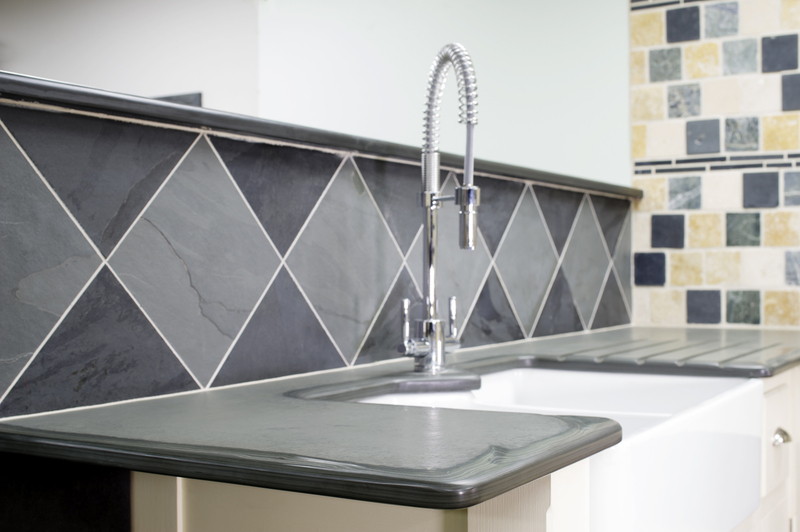 We welcome any enquries for all types of slate worktops for kitchens, bathrooms, wet rooms and more. 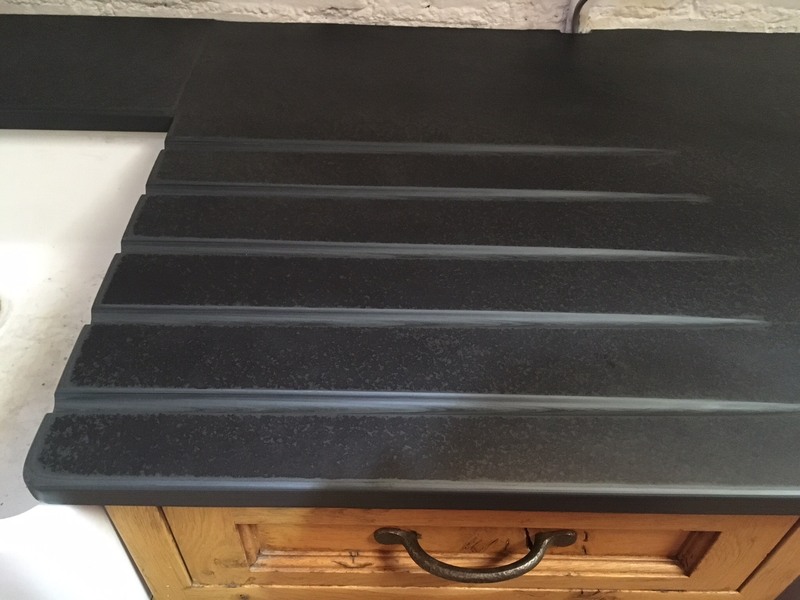 Ardosia has a fantastic reputation for creating bespoke products from slate so if you have a great idea, let us bring that idea into a reality. 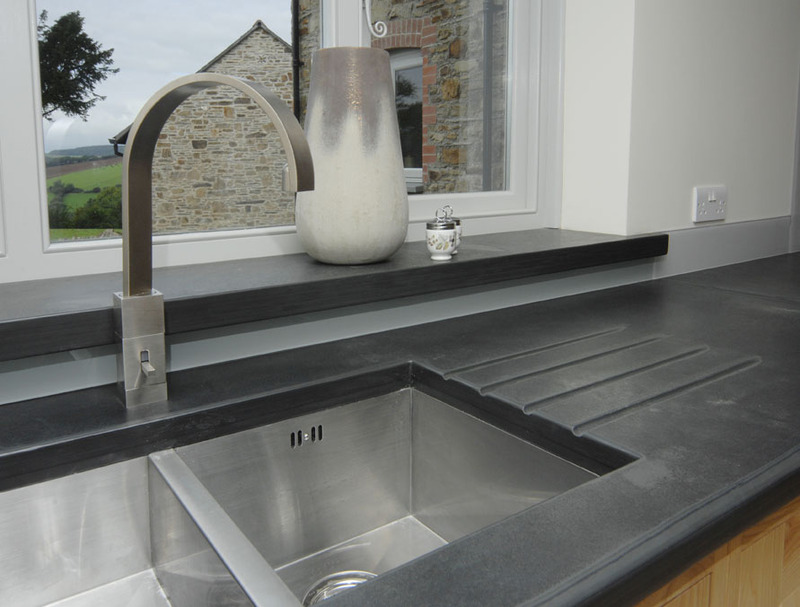 Our slate work surfaces for kitchens and bathrooms have been created for a wide variety of properties, the highest specification luxury apartments to cottage style kitchens, Ardosia have made and installed a huge number of slate sink drainers and surrounds so please do not hesitate to call us if you are looking for a stunning addition to your property. 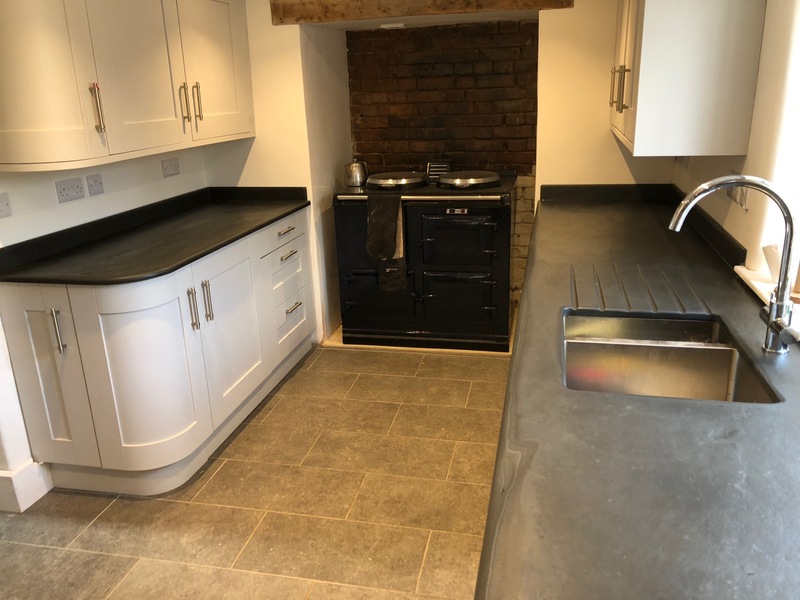 Just call 01271 830139 during normal working hours or email enquiries@ardosiaslate.co.uk and we will be more than happy to help you create the perfect space.